Most people are unaware of how these little additions…(told to us by the government that they will “help”) are actually very harmful to our body. These added chemicals are supposed to keep the water source pure and clean. Make it ‘sanitary’ they say. However, these chemicals, get loaded up in our body and can actually cause problems for us. Our body works in part as a filter. Like any filter, you need to clean it and maintain it for the ‘filtering’ to be effective. Too much toxic build up in the body from chemicals in our water can lead to joint pain, achiness, arthritis type symptoms and more. For each of us, clean, pure, non chemically loaded water is important. Our bodies are 3/4 water. Having as clean of a water source going into our body is very important. As we grow in our own personal leadership skill sets and decisions for our self and others also should encompass our health and well being. Leaders are role models. If you are sick and unhealthy- it is hard to inspire others to greatness. Below is an article that I wrote about two years ago which was originally published in the San Diego Family Magazine. 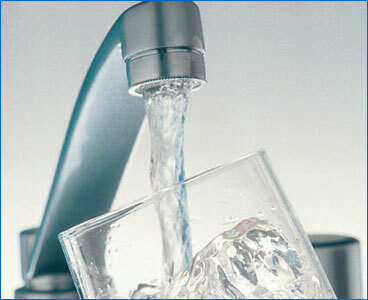 I share some of the info I learned about our tap water. It talks about another chemical, chlorine, in the water supply. The issue of more flouride in the water is similar to the chlorine. They are both useful in some applications in life- but harmful if ingested. Have you ever wondered why so many people don’t drink tap water? The reasons for this vary, but most say it’s because ‘the water doesn’t taste good’. Not surprisingly, your body knows what’s good for you. A recent water quality and safety study revealed that treated drinking water in the US often has higher chlorine levels in it than pool water! As a mom with two young children, I found that information disturbing. I have always been an avid water drinker, but with the way our tap water tasted and smelled, I found myself drinking less. I even felt more tired and achy when I did. After I heard about the levels of contaminants in the average water piped into a house, I sought a solution—and now I want to share it with you. The following info should explain why your drinking water tastes funny: In 1974, Congress turned drinking water standards over to the Environmental Protection Agency (EPA). The EPA then established a national standard for allowable pathogen-causing bacteria and viruses in our drinking water. The Safe Drinking Water Act in 1986 further reduced the allowable amount of microbial contaminants—and increased the levels of chemicals like chlorine, ammonia and chloramines in the water. In 1996, the EPA reduced the 1986 levels by almost 80% more. These new requirements were mostly met by increasing the amount of chemicals in the water again. What’s A High Level and Why Should Moms Be Concerned? Here in San Diego, most public pools maintain chlorine levels at 1.5 ppm (parts per million). Common free chlorine levels measured in drinking water throughout San Diego County are approximately 2.15 ppm (with chloramine averaging 4.5 ppm)—that’s a full 30% higher than swimming pool water (Source: City of San Diego Water Department: 2006 San Diego Annual Water Quality Report Pg. 9). Considering that the body is made up of over 70% of water, the very building-block for your health, these numbers are disturbing. You might be saying, “Well, I only drink bottled water, so this doesn’t affect me.” Unfortunately, you’re not safe: The average person still ingests the equivalent of 8 glasses of unfiltered tap water/day. How can this be, you ask? The answer lies in a study done by Dr. Lance Wallace, a senior scientist at the EPA: he credits two thirds of our chlorine exposure to inhaling/absorbing it while showering. Apparently, shower steam can contain up to 50 times the chemical levels of tap water because chlorine and most other contaminants vaporize at a lower temperature than water. Inhalation is more harmful since the inhaled chlorine gas (chloroform) goes into the blood stream. Inhaling chlorine has been shown to be a cause of asthma and bronchitis, especially in children. Also, many of the chemicals in drinking water are linked to everything from sinusitis, sore throat, lung, kidney, rectal & breast cancer. The best solution at this time is a whole house carbon water filtration system that automatically cleans itself via ‘backflushing’ water. These amazing filters process every drop of water that comes into your home. With one of these filters, your water will now be free of carcinogenic disinfectants—so it will taste like ‘bottled-water’, you and your children won’t inhale/absorb chemicals in your shower, your hair and skin will feel softer and you’ll extend the life of your appliances and copper pipes. I found my solution after talking with ‘CleanWaterMike’ Felsburg, a representative for San Diego-based Aquasource. Aquasource is a pioneer in whole house water filtration systems and ‘CleanWaterMike’ is passionate and knowledgeable about finding solutions to attaining safe tap water. He explained the differences in systems and the level of water quality I’d receive from them. There are a few different blends and grades of activated carbon: the lowest – bitmous, mid level – pharmaceutical grade and the best – catalytic grade carbon. At the very least, you want a filter of 100% pharmaceutical grade carbon to remove most of the carcinogens. Pharmaceutical grade carbon will improve water quality but will only slightly reduce the amount of chloramine gases in the water. Catalytic grade carbon has a quicker reaction rate that significantly reduces the amount of chloramine gas in your water…which is the main disinfectant that municipalities use in the water. With my house water filtered by an Aquasource catalytic grade carbon filter, we’ve noticing a huge difference in how our water tastes, smells, and feels. I’m using less soap and shampoos, cleaning is easier and we’re already feeling better. I’ve become spoiled! When you learn about the chemical levels in today’s drinking water, there is a moment of shock. But then, if you’ve stopped drinking tap water long ago because of the taste, this information helps it all make sense. Although this information is unsettling, the situation and solution is easy—you have a choice. The first step is to decide how important it is to your family’s health and then whether to install an in-home water filtration system like they one my family chose from Aquasource. You’ll have peace of mind and the tap water will again taste like water should.